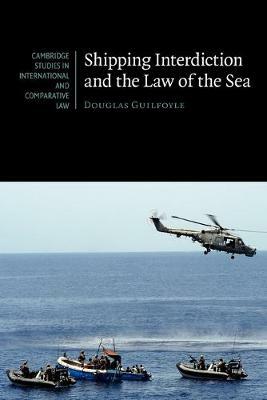 In this comparative study of shipping interdiction, Douglas Guilfoyle considers the State action of stopping, searching and arresting foreign flag vessels and crew on the high seas in cases such as piracy, slavery, drug smuggling, fisheries management, migrant smuggling, the proliferation of weapons of mass destruction and maritime terrorism. Interdiction raises important questions of jurisdiction, including: how permission to board a foreign vessel is obtained; whether boarding State or flag State law applies during the interdiction (or whether both apply); and which State has jurisdiction to prosecute any crimes discovered. Rules on the use of force and protection of human rights, compensation for wrongful interdiction and the status of boarding State officers under flag State law are also examined. A unified and practical view is taken of the law applicable across existing interdiction regimes based on an extensive survey of state practice.